U.S. Soccer released the roster of players called up by Jurgen Klinsmann and there are some interesting choices. Both Landon Donovan and Kyle Beckerman are on the roster and are apparently expected to be in camp regardless of whether or not their team makes it to MLS Cup. Reportedly Klinsmann will be releasing that player after the match against France in order to let them return to the United States and prepare. On that subject Klinsman stated: "We have a very positive line of communication with MLS. We agreed that whoever will be involved in the final will be released after the game against France, which gives them more than a week to prepare." For my money though, I dont see why Klinsmann needs to call that player at all. There are certainly plenty of players available who are deserving of a look prior to World Cup Qualifying. Why risk injury to a player who will be crucial to his teams' success in the final? 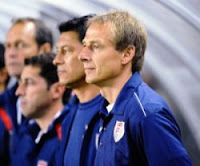 Klinsmann cannot be making either Bruce Arena or Jason Kreis all that happy with this decision. Other names on the roster include Jermaine Jones and Robbie Rogers, who return to the squad after being left out in October. Add to that a newcomer in Alfred Morales who is a relative unknown to most US fans. 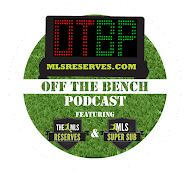 DeMarcus Beasley and Edson Buddle both earned call-ups with their great league play. It's especially encouraging to see DeMarcus Beasley continue his comeback to international form. It is the names left off the roster who are most notable though. Absent from the list is Hercules Gomez who has been on an absolute tear in the Mexican first division. Why he is consistently overlooked in favor of other fowards, who are not scoring, is baffling. Juan Agudelo and Teal Bunbury were left off the roster as well. Klinsmann defended this by saying that because they would not be starters, they're better served playing with the Under-23 squad where they'll get full games. Good point, but when Robbie Rogers is on your roster and Bunbury is not, can you really make that argument? Who was left off for you? Is Jurgen doing right by forcing those in MLS Cup into camp? Share your thoughts on Twitter or in the comments section. Still with Rogers, huh..... I would like to still see the player pool widened with others as well. The travel for Donovan and Beckerman could hinder their teams.